Check out this video of Surfista Jonathan Lanuzga of our trip to BALER last month! It’s always awesome to see our Surfistas happy! He documented the whole trip – from our van ride, to his surf lessons, while staying at the Aliya Surf Resort, on our hike to the waterfalls and to the biggest Balete tree in Asia, and hanging out with his new Surfista friends. Check it out! 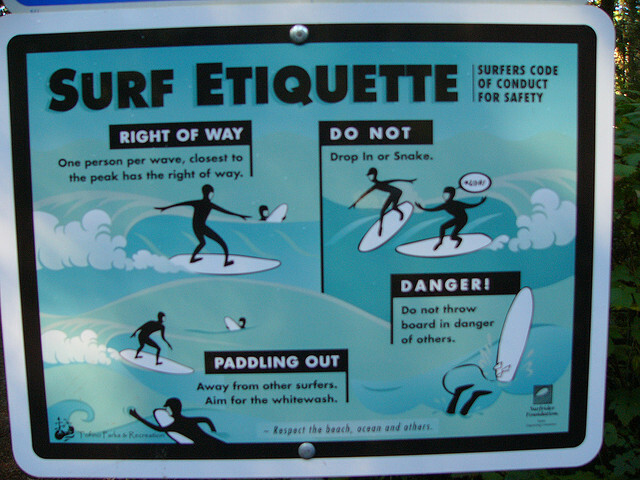 SURFISTA ETIQUETTE – Be a Responsible Surfista! 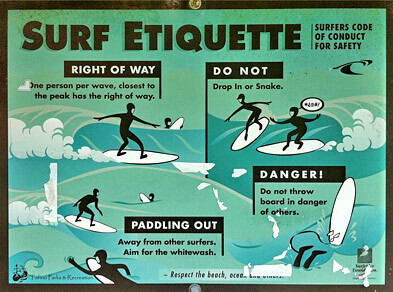 There are rules and etiquette for everything – including SURFING. 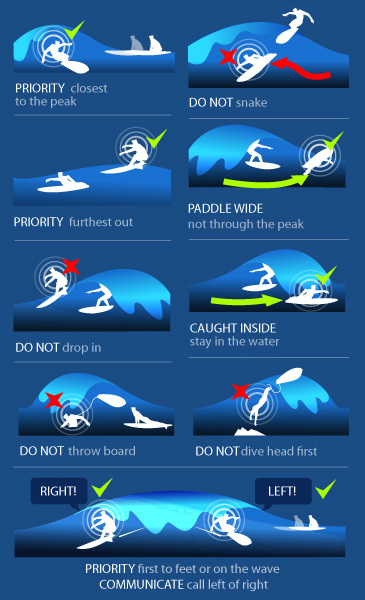 Surfing is a fun sport, but also an extreme one and can be quite dangerous. 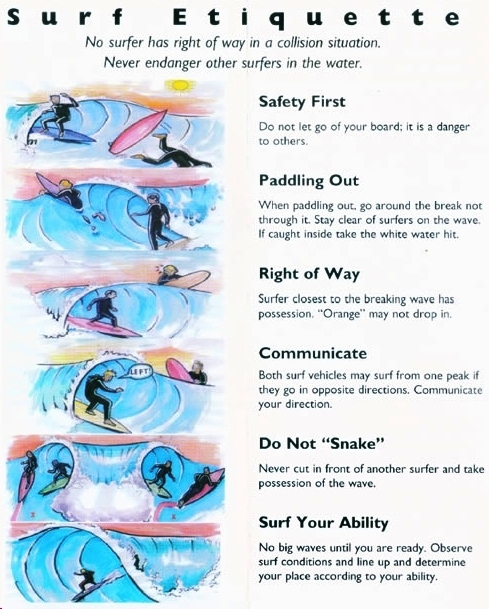 You have to remember as Surfistas that you are not always alone out there in the water (unless you’re super lucky!) Surfing is getting more popular in the Philippines and around the world and it’s best that we know what we are doing out there. Accidents and mishaps can be avoided by just knowing AND following a few simple rules. We’ve taken these images from the internet and take no credit for them whatsoever. We think they’re posted out there to be shared. So feel free to share any of these photos or this post. Who knows? You could be saving someone else’s – even yours. 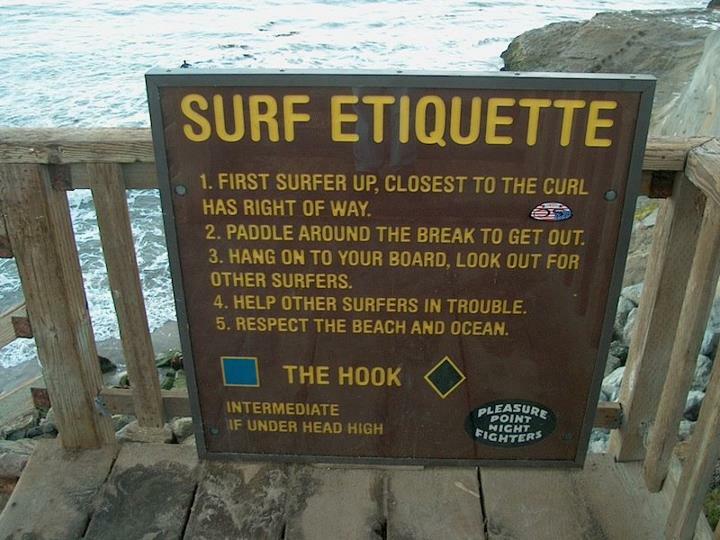 Please be responsible SURFISTAS out there and make us proud to call you one! Feel free to SHARE this! You’re an ocean dweller at heart and living in the concrete jungle has you coming down with a serious case of the blues. You could really use some beach time and good waves to wash the stress away. You know what that means. It’s time to start planning your next get away and Surfista Travels Philippines can help you get there. Whether you’re a resident of Southeast Asia or a European looking for relaxation and an escape, Cloud 9 in Siargao, Philippines should jump to the top of your list of surf destinations to check out in Asia. Located about 800 kilometers southeast of Manila, Siargao Island is a part of Surigao del Norte known for its white sand beaches, untouched natural havens, and laid back culture. If you have never traveled in the Philippines, it can be difficult to figure out where to stay and how to get there. Surfista Travels takes away the hassle of planning offering convenient packages including accommodation, transportation, surf lessons, board rentals, and not to mention a unique experience in a one of a kind place. Many loyal surfers have already heard of Cloud 9. Popularized in the early 90s by American photographer John Callahan, Cloud 9 is regarded as “the surfing capital of the Philippines” and is renowned internationally for its thick hallow tubes and right breaking reef waves. Travelers marvel at the warm waters and serene environment of Cloud 9 while practicing their surf skills in a current that is not too intense for beginners. 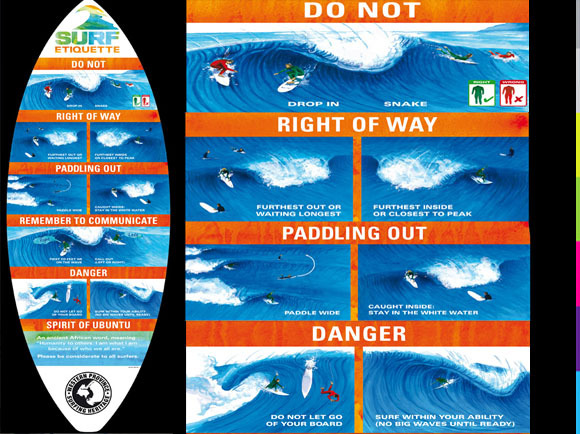 Working with the best surf schools in Siargao, Surfista Travels ensures safety in the water and above all a good time. Other popular breaks on the island that cater to both left and right‐handed surfers at a more intermediate level include Tuesday Rock, Ventura, Pilar Point, and Tuason Point. Surf and beautiful beaches aside, there are many other reasons to visit Siargao. Among those reasons is the Caob lagoon. Just a 40‐minute boat ride through one of the largest and most well preserved wetland of mangroves in Mindanao Philippines lays Caob lagoon whose natural beauty is only rivaled by its enchanting mystical qualities. Island hopping, parasailing, kite surfing, kayaking and big game fishing are among other popular activities in Siargao. Take an evening out with new friends you will surely meet in your Surfista Travels group and head to any number of bars concentrated along General Luna near Cloud 9. Friendly locals mingle with tourists where the nightlife scene can vary anywhere from a chill café to dancing the night away at Melvinbo Disco. If surfing is up your alley and you’re ready to experience Philippines in a different way, then get to Siargao ASAP. 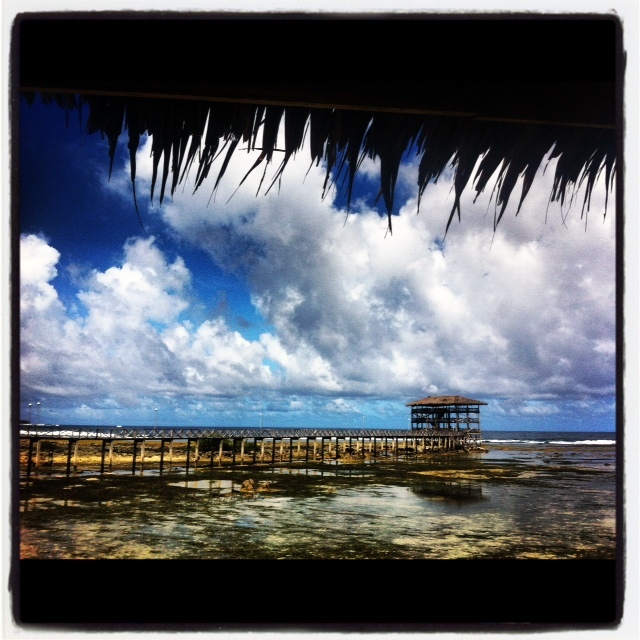 But don’t take my word for it because words don’t do justice to the paradise that is Siargao. You have to see for yourself.